Just as your body needs food, water and exercise daily, sleep is an equally important element as well. The amount of sleep needed varies from person to person and is often influenced by age, but no one can function properly without it. Many of us find ourselves choosing between sleep and completing work or our daily tasks. If you’ve found yourself in this situation, it’s likely you’ve taken on more than you can handle. Lack of sleep influences all areas of your life: your brain, your body’s ability to stay healthy and even keep off weight. Even just one sleepless night can throw off your body and health. During a good night’s sleep, hormones are regulated throughout the body, including those that control hunger. Ghrelin is the “hunger hormone,” which is mainly produced in the stomach. Aside from telling you when you’re hungry, ghrelin is also part of the process of energy dissemination within the body. It keeps your weight and energy in check during the day. A lack of sleep actually increases production of ghrelin, making you feel hungrier in the morning and throughout the day. A sleep study from 2008 found a direct correlation between shorter sleep and obesity in both children and adults. In addition to weight gain, not getting enough sleep is fatiguing and weakens the body’s immune system. Your body has to work harder to defend itself and may have trouble fighting off infections. 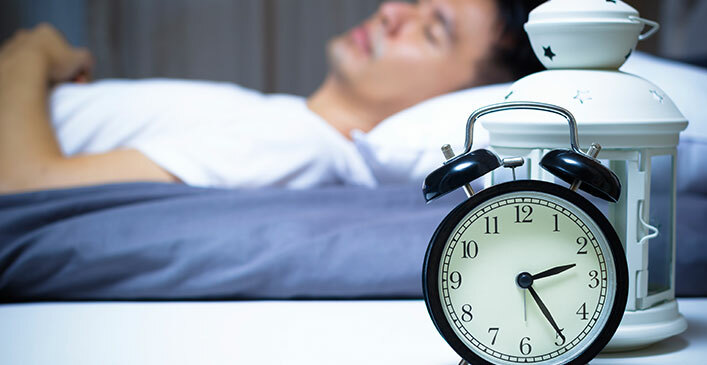 Long-term sleep deprivation may even cause auto-immune disorders such as rheumatoid arthritis, where the immune system mistakenly attacks itself. Feeling tired also makes it harder to get up and do things, especially exercise. Without the motivation to move, the chance for obesity is even higher. A lack of exercise and lack of sleep can even cause muscle weakness and decreased bone density. It’s most apparent in the elderly, but can affect people of all ages. Overall health is influenced by sleep as well. Sleep deprivation causes blood pressure to increase when it would normally be at its lowest point overnight. Increased blood pressure causes inflammation within the body, which can lead to chronic health conditions. Cardiovascular disease and stroke are the most common conditions that may be directly related to lack of sleep. However, type 2 diabetes may also develop as a result of getting less sleep than needed. Even just one week of poor sleep can cause a healthy adult to develop pre-diabetes symptoms. Studies have shown the body can develop insulin resistance over time as a result of inadequate sleep. The result is a higher than normal blood sugar level that may develop into type 2 diabetes if nothing is done to regulate the sleep cycle. Besides affecting the physical body, sleep has a major role in brain function. Your mind needs time to rest and process all the information and stimuli it receives every day. Without sleep, short-term memory is impaired and learned information may not stick in the morning. Some sleep studies show that concentration and problem solving are also affected, particularly if REM sleep is interrupted. Additionally, sleep dysfunction and deprivation can encourage the development of mood disorders such as manic depression, bipolar disorder and attention deficit hyperactivity disorder (ADHD). A recent study by a group of Norwegian psychiatrists found chronic insomnia was directly correlated with the development of anxiety and depression in adults. Inversely, existing psychiatric disorders can also impact quality of sleep, especially when the individual was under stress. In fact, 90 percent of clinically depressed adults have trouble sleeping. If you’ve ever experienced a restless night with little sleep, chances are you’ll recall the brain fog that followed the next day. Because your body was unable to turn off for the night, it may feel like you have a hangover. This is because your body was unable to eliminate toxins in your blood properly or repair areas that were damaged during the day, such as the skin or sore muscles. You will likely feel dehydrated as well since insomnia depletes the adrenals. Following a regular sleep schedule every night will ensure your body knows when it’s time to hit the hay. Most of us are glued to our phones or computers during the day, so it’s important to shut off all devices at least an hour before you get into bed. Bright light from the screens can screw up your circadian rhythm, making it harder to fall and stay asleep. Create a sleep ritual to help yourself relax. Dim the lights in your room to allow your body to adjust to the transition from day to night and wakefulness to sleep. Soothing music or a warm bath are also great ways to unwind at the end of the day. If you do have trouble sleeping, get up and read a book for a while. Don’t take sleeping pills if you can help it, but instead try natural treatments like melatonin or magnesium, which are easier on the body. Take care of your body and allow it to de-stress. Making time for adequate sleep is one of the best things you can do for your health.